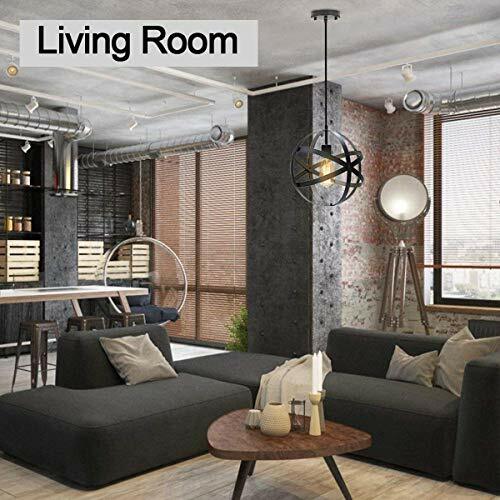 ✔ Size: The diameter of the industrial globe pendant light is 11.81 inches, the hanging line is adjustable (max length of 51 inch), you can choose the suitable cord length BEFORE INSTALLATION. 4.2 Pounds in Weight. 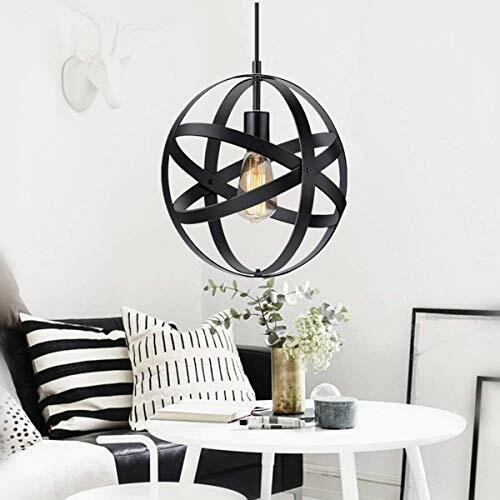 Note: Please check the dimensions carefully before purchasing if the industrial pendant light will fit your room. ✔ Special Design: All the 4 rings an be spined around screws (No Screwdriver needed as others). 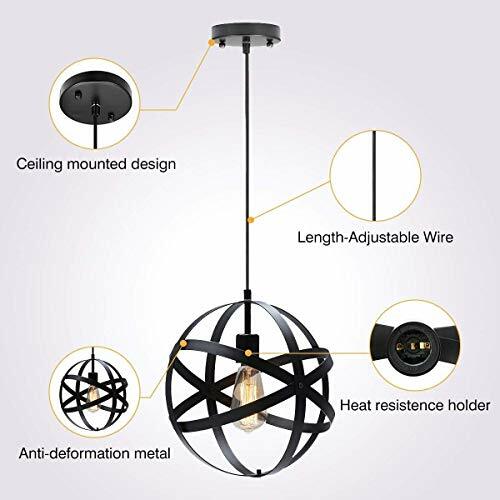 Traditional Design of Ceiling Pendant light, Be SAFER & CONCISE, no risk of electric shock of plug get wet or cord get bared accidentally. 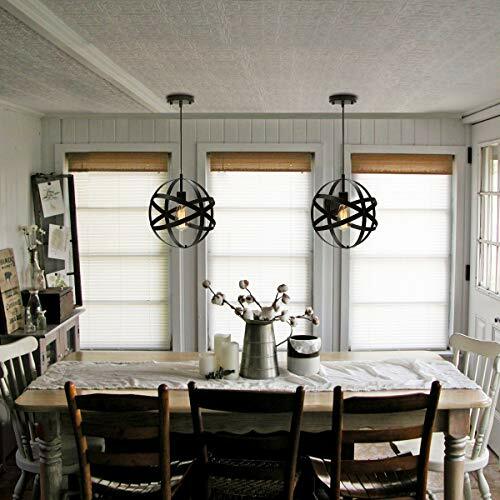 Perfect spherical rustic lighting for kitchen island, foyer, entryways, living room, dining room, bedroom or hallway. 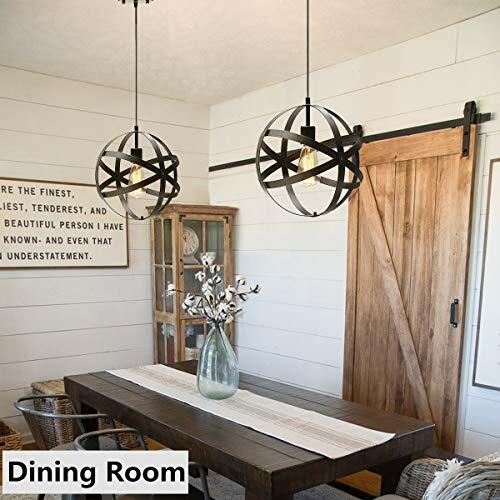 ✔ Dimmable function: The farmhouse hanging ceiling light works well with any E26 bulbs. 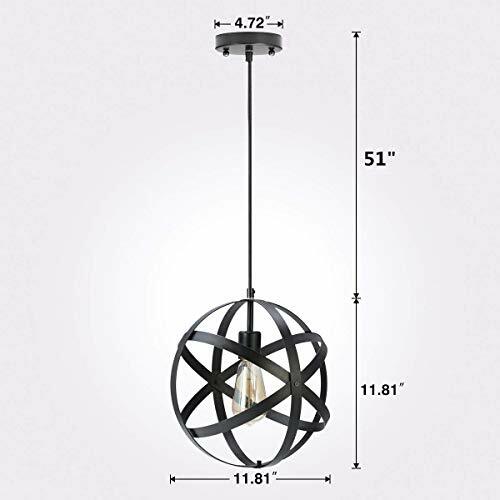 Compatible with dimmable bulb and switch. (Bulb and switch are NOT included). 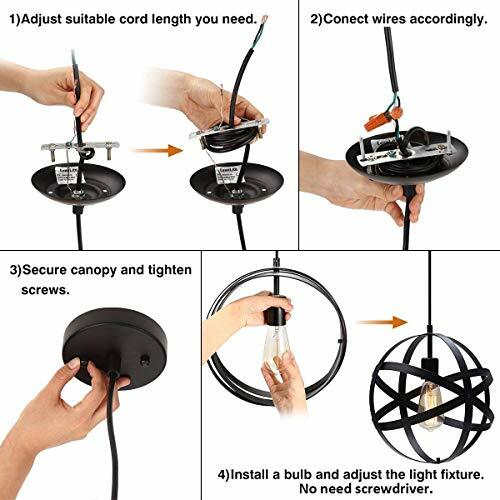 Tips: If you intend to install the vintage bulbs, please search the below ASINs in our store: B013BDXU86, B01GCTC6I6, B01MSQOE94. 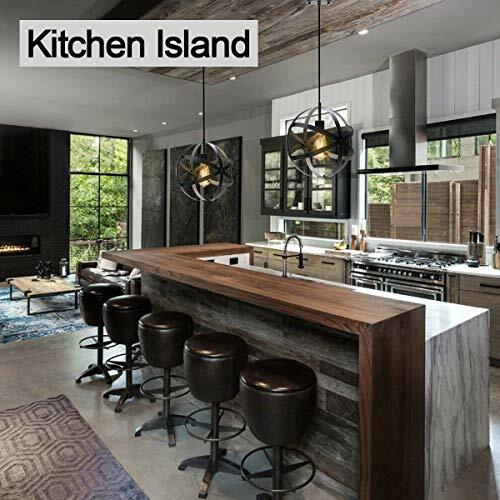 A combination of purchase will be on sale and save more money.